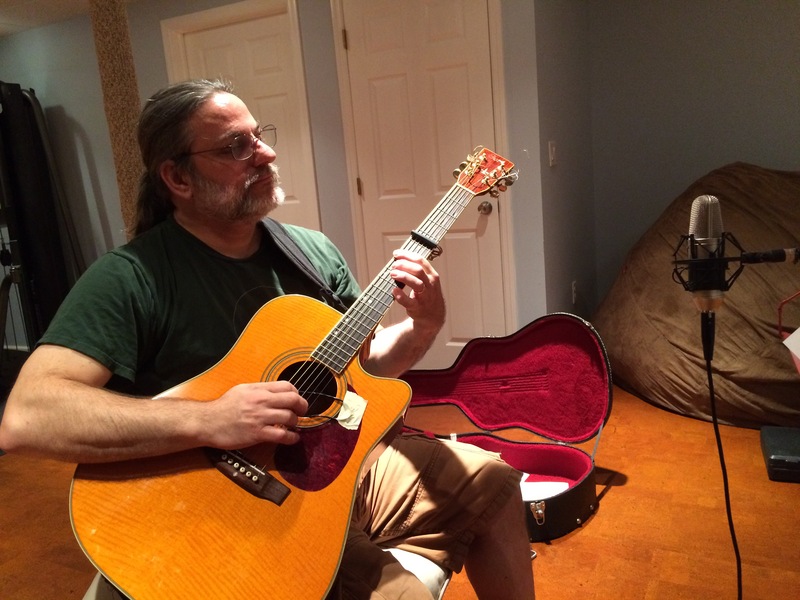 I had my old high school chum (and Hidden Gold mastering engineer) Neil Fein in the home studio today to record guitar tracks for “We Are the East“, as part of a special project (more about that later). I’m excited to be recording again after taking a year off, and it was fun to be recording guitar tracks with someone I haven’t worked with before as a musician (though Neil accompanied me at a live performance at a party some months ago). Neil brought, as I had hoped, some lovely lyricism and finesse to the song, and I’m very pleased with what we were able to do together in just a few hours. Thanks again, Neil!